Share Your Elite Honors Journey With Us! Team Members around the world are setting a goal at the beginning of each month to get their head in the game, work hard, and become Elite Honors Qualified. What is Elite Honors? Click here to learn more. Becoming Elite Honors Qualified is a fantastic feat, and we want to see you in action! Share snapshots of your Elite Honors journey with us and we’ll be ready to reward you along the way. Beginning Friday, October 2, 2015, we will begin a series of #GoElite Giveaways. All you have to do to win these giveaways is post eye-catching images of yourself being an Elite Synergy Business Builder. Share these photos on Instagram, Facebook, or both using the hashtag #GoElite! Giveaways will happen at random, so continue checking your Facebook and Instagram accounts to know when to post. Post a photo of yourself doing some Elite business building. Examples: Take a picture of yourself hosting a Synergy meeting, wearing your hard-earned Elite Honors pin, sharing a sample with a friend, training someone else on the Elite Honors earnings model … that kind of thing! As long as you prove that you are actively pursuing your Elite Honors goal, the photo will work. Include the date the photo was taken in the caption. We are looking for recent Elite activities! 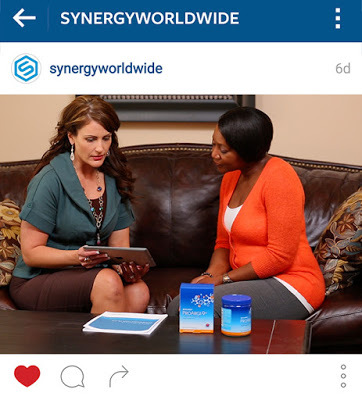 Include the hashtags #GoElite and #Synergyworldwide in you post. If you don’t include the hashtags, we won’t be able to find your photos! T-shirts, jackets, backpacks, padfolios, USBs, water bottles… there will be plenty of exciting prizes offered! Any of these could be yours for simply showing us what you’re doing in the field to become Elite Honors Qualified. We can’t wait to experience with you the adventures you embark on to become Elite Honors Qualified. The first giveaway may be coming soon, so get your photos ready!